Abkhazia, with its beaches, clean sea and a huge number of attractions is a true "tasty morsel" for Russian tourists. In addition to visiting the country it is not necessary to have a passport and to carry out flight. What city is best to choose to stay in Abkhazia? A significant part of the Russians visiting Abkhazia with or without children, do not want to make long journeys and stop at two cities close to the border with Russia – Pitsunda and Gagra. Besides, there is a very strange opinion about that in the summer the sea is clean only on their beaches that is completely untrue. 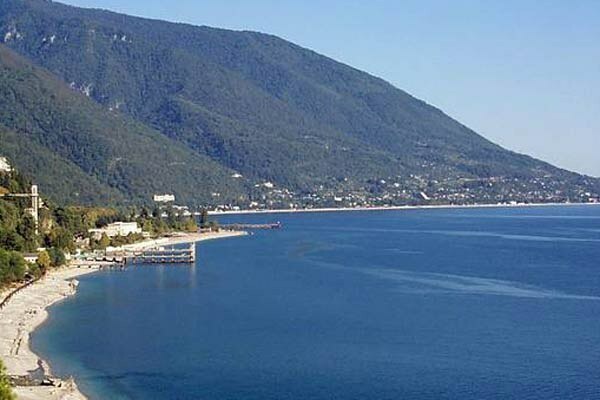 A large crowd of tourists in recent years have transformed these two cities are in fact copies of Adler, Sochi and other tourist sites on the territory of Russia, where the beach is literally no room to swing fall. In Pitsunda and Gagra is almost impossible to feel the flavor of this country with its semi-wild landscapes, unique architecture and many others. If you want to really relax from the noise and DIN, go at least to New Athos or to the capital of Abkhazia Sukhum. First, a relatively small city, perfect for the older generation with its ancient monastery and numerous churches, and one for families with children, couples and companies. How to best organize your holiday in Abkhazia? The best hotels of Sukhum are located in the heart of the old city Viva hotel Maria, located on the picturesque promenade Hotel Sukhum Hotel Inter-Sukhum. In addition to excellent service, their great advantage is the beautiful views of the black sea, as well as the proximity to the main attractions of the Abkhazian capital. Of course, these Central hotels are not cheap, so you can look quite a comfortable place in a small boarding-houses or private hotels. In the small town of New Athos you can also find the optimal place of residence, consistent with the size of the purse, holiday-maker and his preferences. Not far behind the hotel industry of Abkhazia and the industry of catering. For example, on the territory of Sukhum has one of the oldest restaurants in the city, "Nartaa", whose owners for many decades to preserve the traditions of cooking. Also great to eat in the restaurant "Amra", a comfortable cafe in the hotel "Aytar" in a "Pacha Gum", located in the Abkhaz capital. On the seafront next to the resort. there are numerous travel companies. Here it is possible to buy guided tours to the Blue lake, lake Ritsa, to the Holy sites of New Athos Pitsunda in reserve, to Excommu waterfall and many other attractions. Individual agencies also organize visits to more remote places – dead city Tkuarchal, lake Amtkel, Bedia temple, and gather a group for rafting on the river Kodor. The latest versions are more suitable for families without small children, as the road to it will take up to 5 hours on the mountain and a very bumpy road.